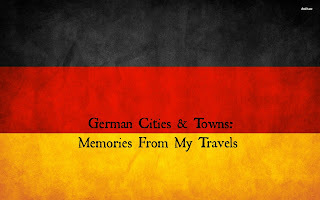 In an effort to preserve my memories and pictures of Germany, I am writing a series: German Cities & Towns. 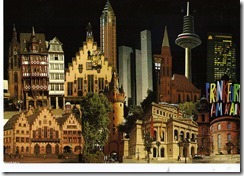 While you can get information about these cities from far more professional websites than mine, these are MY memories, perspectives, and pictures. I hope you will enjoy them with me! 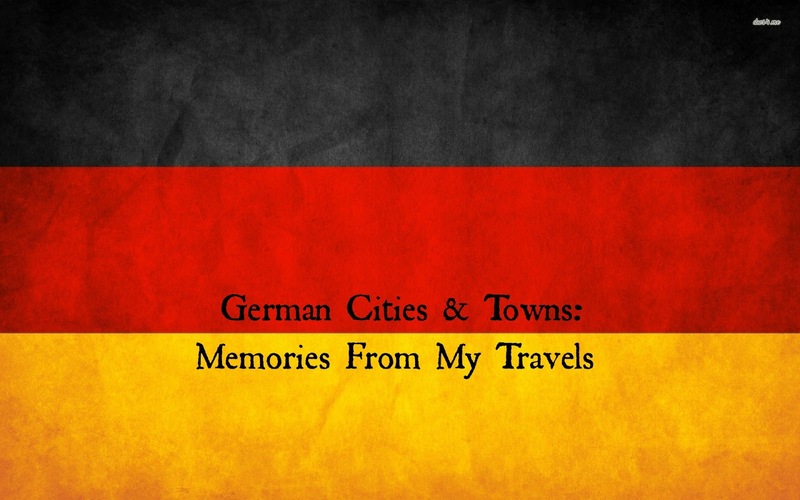 And share what are YOUR favorite German cities & towns. 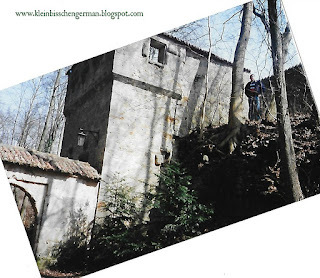 In April of 1996, soon after arriving in Germany for a 3 year tour with the U.S. Army (we were stationed in Würzburg), we explored the nearby town of Dinkelsbühl, also located on the Romantic Road. Dinkelsbühl is located in Central Franconia (Franken) in the state of Bavaria. It was about an hours' drive from our home in Würzburg. The U.S. military also had a post in nearby Ansbach, Katterbach Kaserne and a small artillery division in Dinkelsbühl itself. Dinkelsbühl - like Rothenburg - is a medieval, walled city. 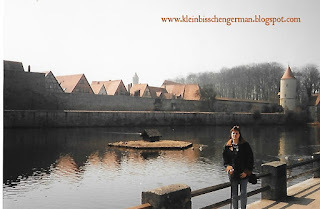 Another walled city of note is Nördlingen, also on the Romantic Road. 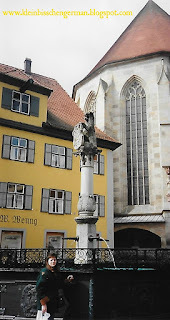 St. George's minster (Münster) is the largest church in the heart of the city, built in the 15th century. 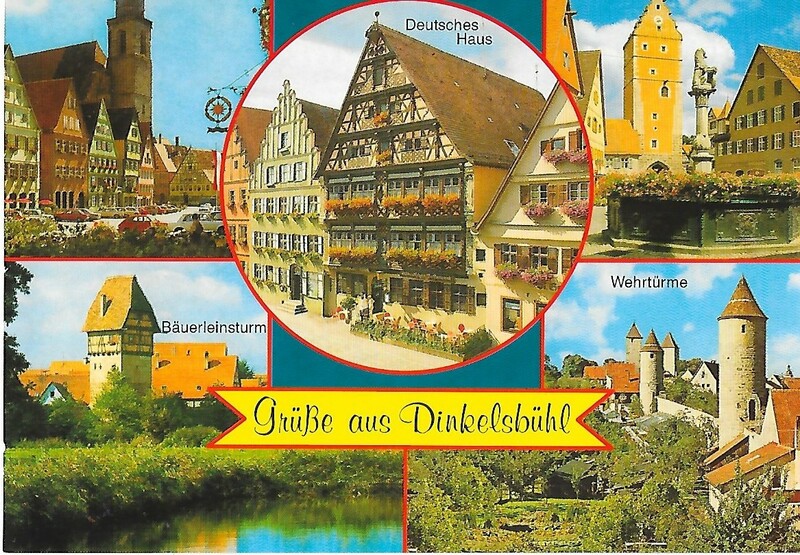 An interesting fact about Dinkelsbühl is that is that during the Reformation in Germany, it is one of only four bi-confessional cities. 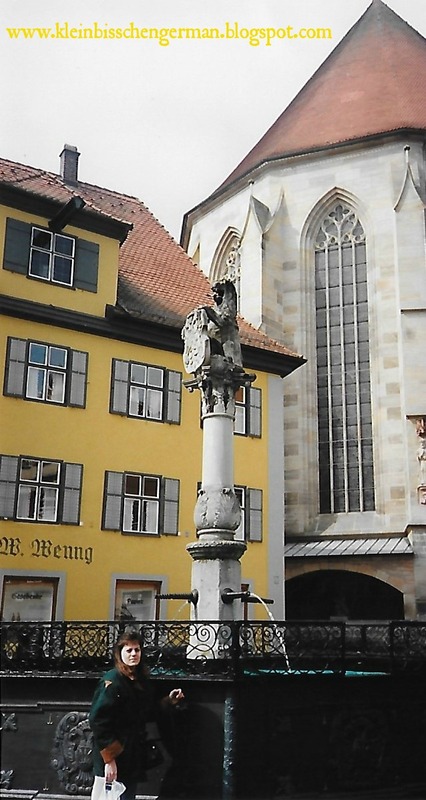 There was approximately an equal amount of Catholics and Lutherans living in the city, combining the rights and rule among leaders from both denominations. 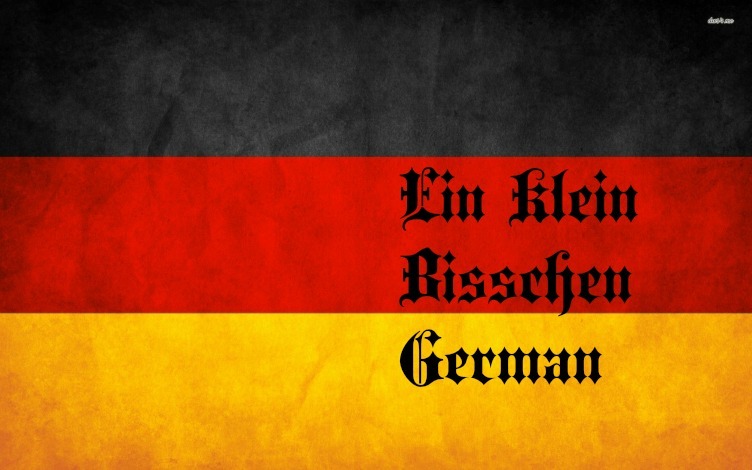 This remained until 1802, when it was annexed into the Kingdom of Bavaria. 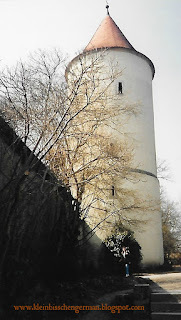 There are many more churches, museums, chapels, and streets to explore in Dinkelsbühl than I can mention. This town is well worth spending a day exploring if you are ever on the Romantic Road!